Jeremy Powers under the lights at CrossVegas. Photo by Motofish Images courtesy Emily Powers. Jeremy Powers likely doesn’t need much introduction to The Bicycle Story’s readers. 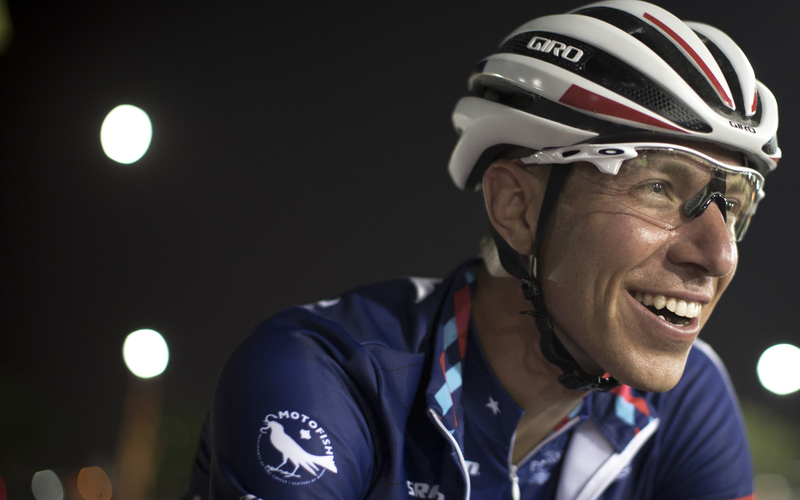 He is almost unquestionably the best American male cyclocross racer of his generation. Powers has won every race he’s entered so far this season save for his impressive 3rd behind Sven Nys and Lars van der Haar at CrossVegas. He’s been similarly dominant the last few seasons notching dozens of wins, two national titles, and a few USGP overall titles. Despite that, success in Europe has eluded Powers. He’s hoping to buck that trend this season and has made some radical changes such as quitting road racing and launching his new one man Aspire team to try and make that happen. Off the race course, Powers is nearly as ubiquitous in American cyclocross. His popular Behind The Barriers web series evolved into a full-on cyclocross media company with live race coverage, analysis and more. His nonprofit JAMFund charity works with underprivileged cyclists in New England and is developing some of the best up-and-coming US cyclocross pros. Talking with Powers the week before he headed to Europe for the Valkenburg World Cup, it was clear that his success is not just the product of a huge engine and good handling skills (though that’s certainly essential). He’s taken a meticulous approach to all aspects of his career–training, racing, building a team, media exposure, partnerships, developing younger riders, etc–and it’s paying off. I spoke to him about his new Aspire program, his deep history in the sport, the challenges of Europe, what it will take to get Americans on World Cup podiums, the growth of Behind The Barriers and JAMFund, and much more. Photo courtesy of Sam Smith. 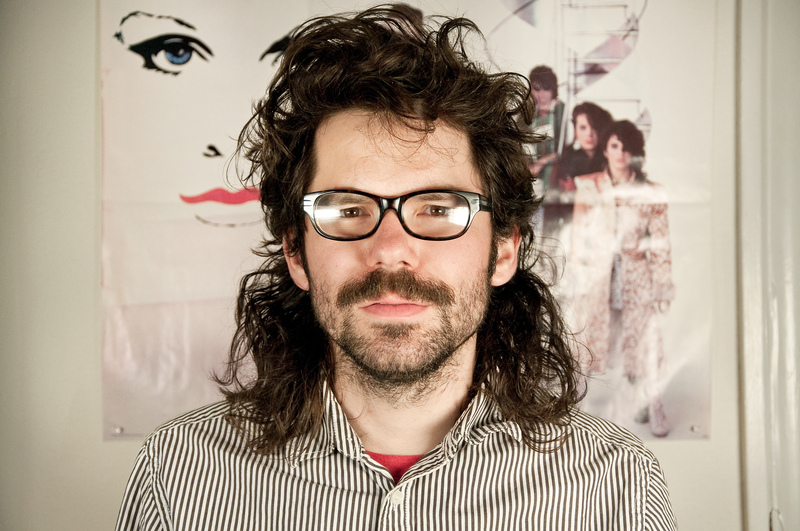 Filmmaker Sam Smith is probably best known as the eccentric-looking guy following Jeremy Powers around with a camera for the web series Behind The Barriers. But Sam’s roots in cycling films reach back over a decade. His first film, Transition, centers on the 2004 North American cyclocross season, following the stories of guys like Barry Wicks, Ryan Trebon, Adam Myerson, and Geoff Kabush. He followed up with a sequel to Transition, a short-lived “video periodical” called Cyclofile, before eventually starting Behind The Barriers. And though he’s left Behind The Barriers, Sam is still producing cycling films including the forthcoming Working Dogs and a new episodic series called Acro Velo. Sam and I spoke about his history with filmmaking, his junior years of bike racing, working on Behind The Barriers and his decision to leave, his filmmaking influences, and much more. 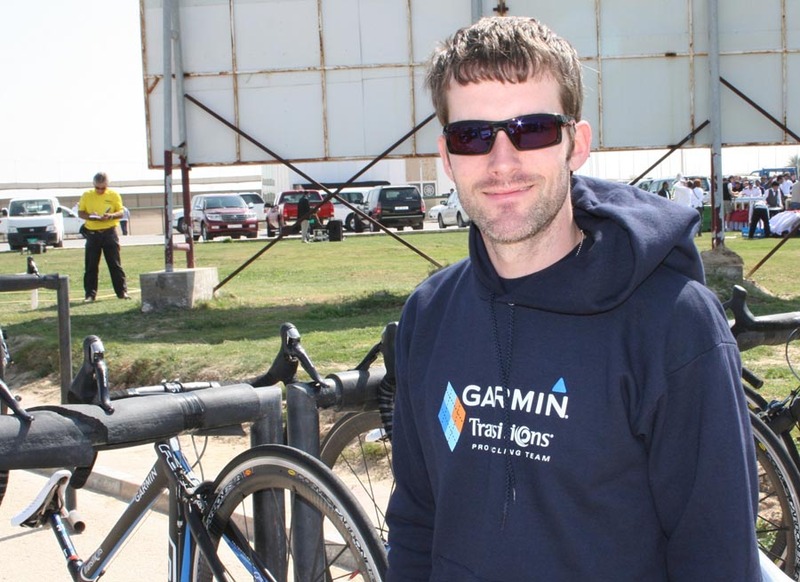 Tom Hopper working for Garmin Sharp. Photo from VeloNews. Mechanics are unsung heroes of bike racing. Most people recognize the critical role they play in a rider’s success (it’s tough to win if your bike falls apart on your breakaway). But how many of us could name the mechanic supporting Andy Hampsten the day he attacked over Gavia Pass or the guy working the pits for Jonathan Page when he took Silver at Worlds? Good mechanics are perhaps most critical in cyclocross where harsh conditions and hard racing frequently result in destroyed derailleurs, flat tires, and worse. Tom Hopper is a mechanic for the Rapha Focus cyclocross team. In this interview he discusses what it takes to be a successful pro-team mechanic, his history in cycling, innovations in cyclocross technology, and more. Sign up to recieve an email every time there's a new post!